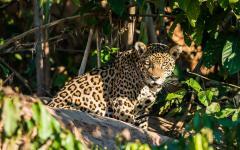 Prepare to be amazed on this unique tour tailored to show you just how spectacular Peru can be. 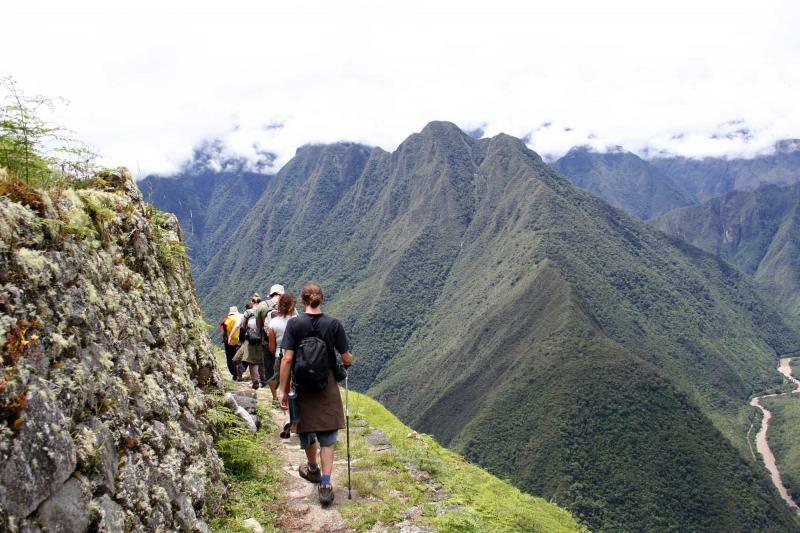 From the stunning lushness of the Sacred Valley to the density of the Amazon Rainforest, give the extraordinary a chance to surprise you as you hike alongside Inca ruins that climb up mountaintops and watch spider monkeys sail through the thick jungle canopy. The streets of Cusco meander along the Andean hills while caiman sunbathe along the shores of secluded lakes. The colors of the Amazon shine like a rainbow. 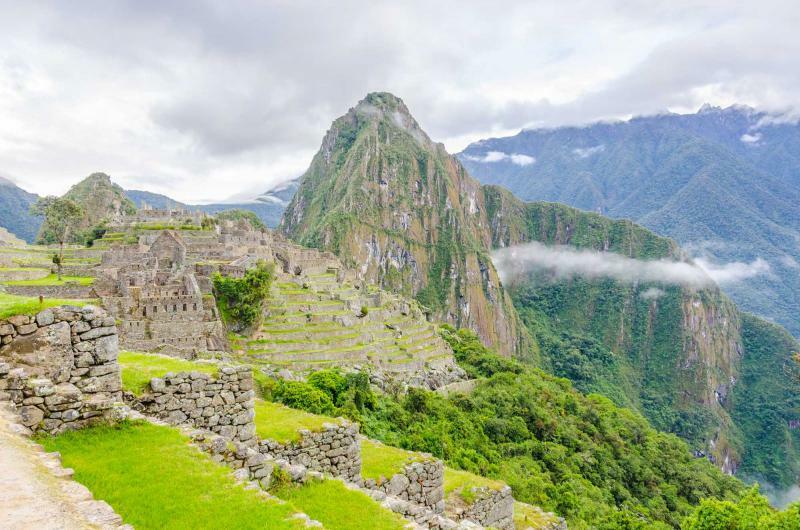 The Lost City of Machu Picchu stands like a jewel waiting to be discovered. Prepare to be astonished…because you will be. 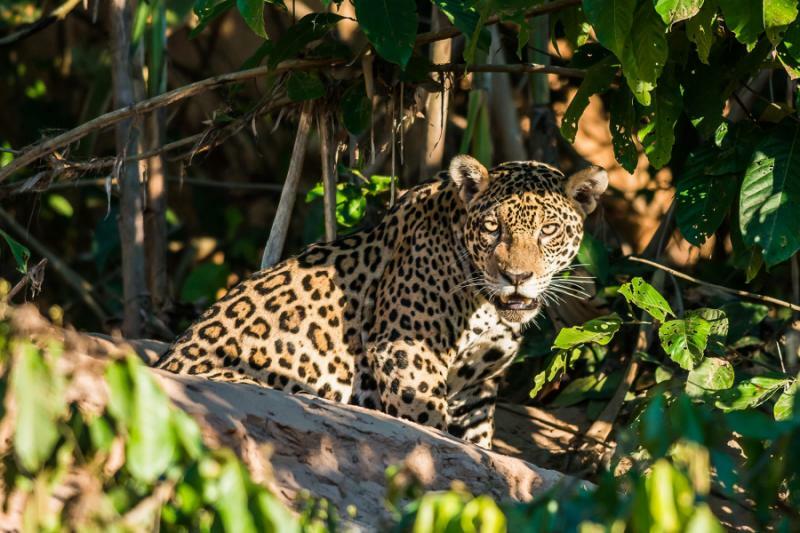 Get ready to be awestruck on this 12-day tour through the Andes and Amazon, meant for hikers, boaters, mountaineers, ornithologists, historians, ecotourists, or those who have ever had a desire to see magnificent mountains and breathtaking rainforest. Your time in Peru will take you along the Sacred Valley of the Andes, hiking through the splendored countryside and along the trails of history with Inca ruins climbing the foothills, stretching all the way to Machu Picchu, the treasure at the end the journey. Spanish colonial grandeur decorates Cusco, and the awesome depths of the rainforest are filled with majestic birds and unique wildlife. 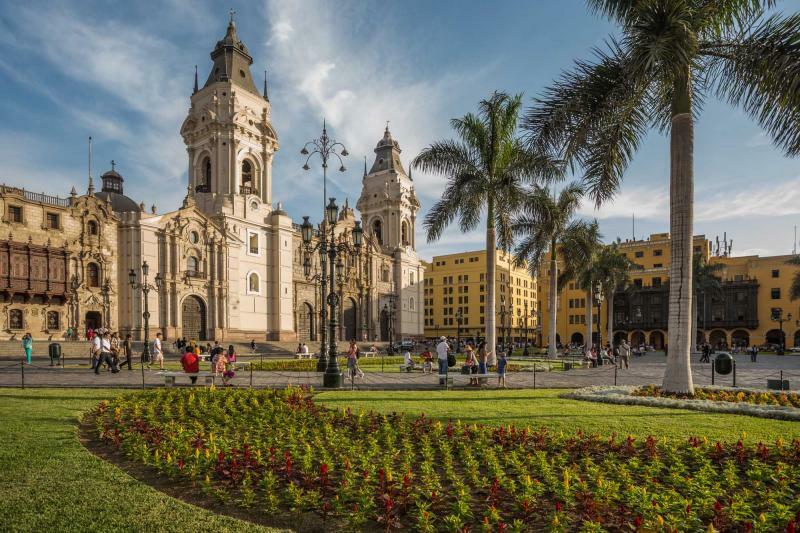 This spectacular journey begins with your arrival in Lima. The eclectic range of the neighborhoods have risen from the colonial past and merged with the modern city. Arrive in the heights of Cusco and venture into the Andes where you will take your first step along the Inca Trail and into the sensational greenery of the Sacred Valley. 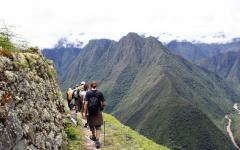 With each step you will walk along the path of the Inca, along the valley floor, past the ruins of Llulluchapampa, over the sky pass of Warmiwanusqa at 13,000 feet above sea level. 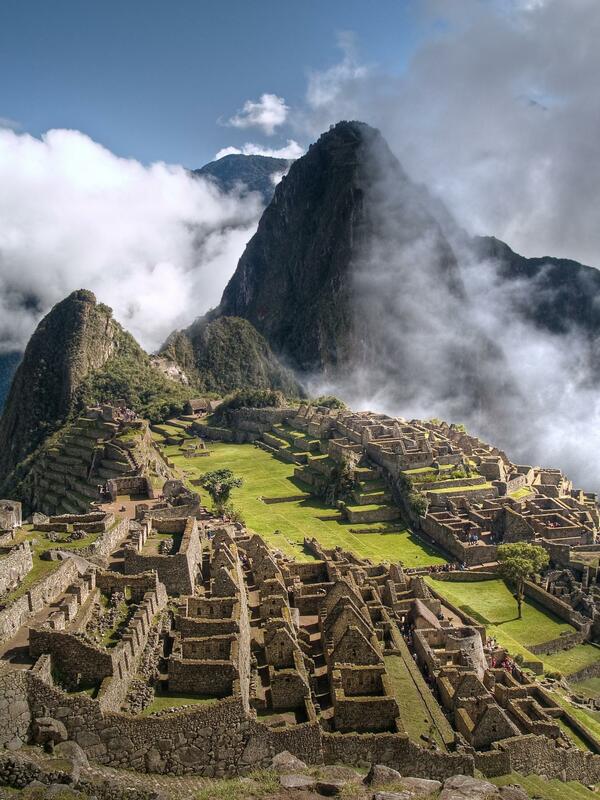 You will watch as the mountains open up and spotlight the amazing citadel of Machu Picchu. After you explore the city you will return to Cusco and venture around the surrounding ruins and wonderful lingering Spanish Architecture. Your exploration continues with your descent into the Amazon. Cruise up-stream from the bustling city of Puerto Maldonado, where you can see men pan for gold in the river basin, and arrive at the Refugio Amazonas. Venture into the canopy and experience the Macaw Clay Lick, where the brilliant hues of the birds swirl along the clay cliff and beaks nibble at the soil. 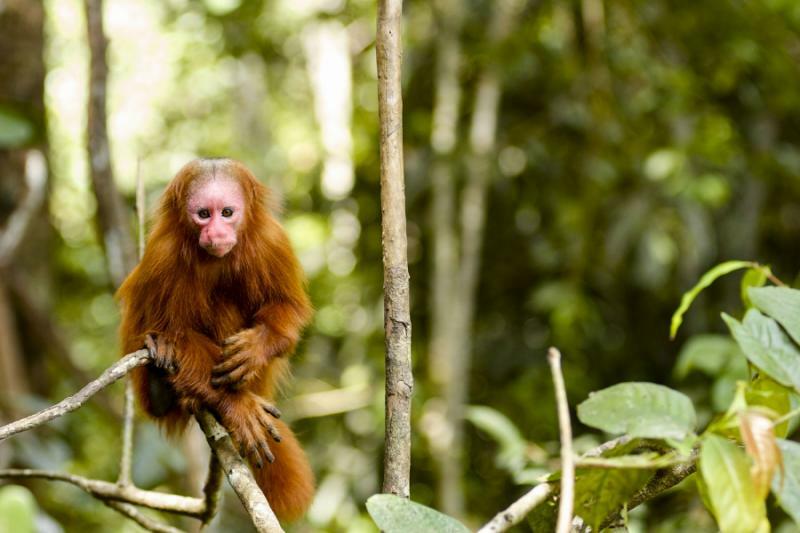 Experience the rainforest through the eyes of a researcher spending time in the Tambopata Research Center while howler monkeys hoot and holler in the trees. 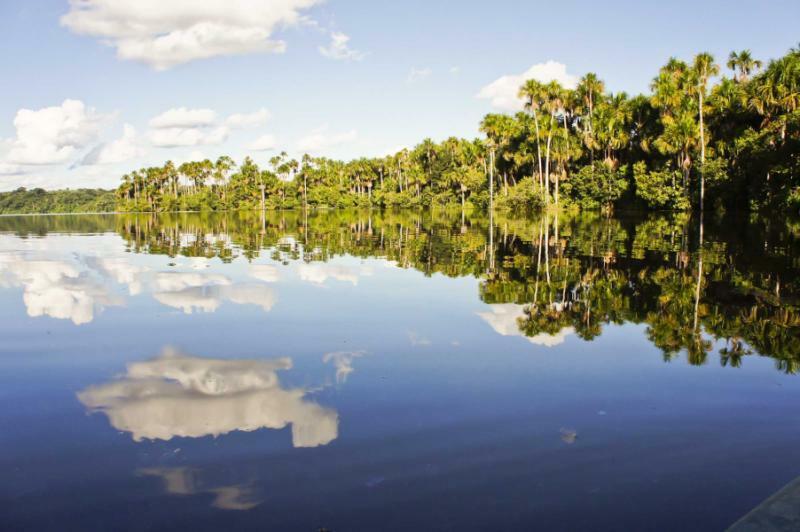 Paddle along the Condenado Lake and watch the caiman bathe on the beachside. As you leave the Amazon you will watch the trees recede beneath you and know how unique your journey has been. You scaled mountains, watched the stars hover just out of reach, witnessed the colorful world of macaws, and discovered just how amazing Peru can be. 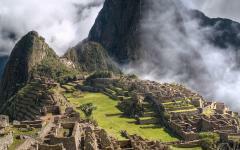 Zicasso offers a variety of Peru tours including Machu Picchu. 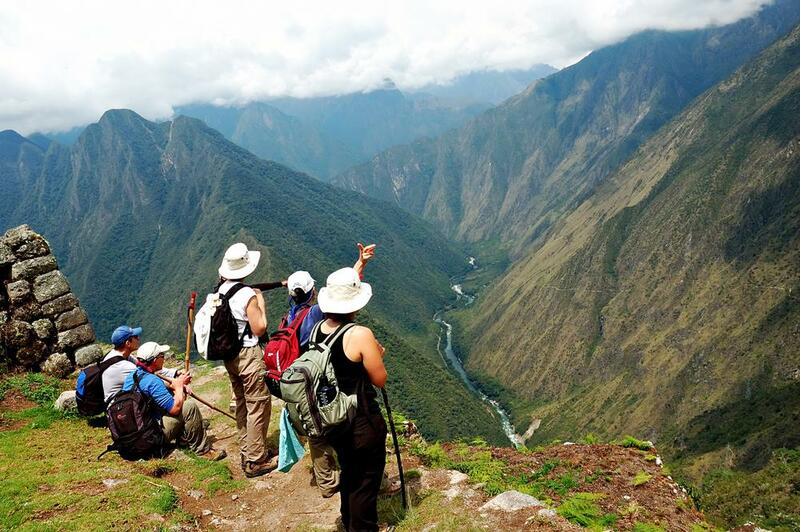 Be sure to read the reviews for Machu Picchu travel agents to see what real travelers experienced on their Peru vacations. 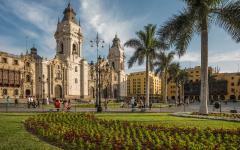 Arrive in Lima and let the city open up to you with diverse neighborhoods and sprawling culture. The streets are perfumed with lemon and fresh seafood as the maritime clouds drift in from the sea. The historic city center located in Plaza de Armas highlights the city’s eclectic past, where the colonial Spanish architecture shines prominently along the modern city. The fountain spouts water into the air in a circular show misting the square while the beautiful pearl spires of the cathedral hover in the sky. The bare opal façade of the church, with a stunning carved entrance, stands ornately next to the bright yellow colonial buildings that border the square. The stones of the plaza are damp with mist giving an earthen scent to the air while the lights of the city begin to shine around the streets and buildings, man made starlight that glistens over Lima. Make your way to the airport and watch the beaches of Lima disappear as you drift into the sky along the line of clouds and over the undulating peaks of the Andes. Arrive in Cusco, the capital city of the Inca, at 10,750 feet above sea level. The cobblestone streets wind along the rolling hills of the city, beneath the Spanish architecture built on the Inca foundations of the city, and over the colorful rooftops, where you can see the narrow alleyways and compact homes of Cusco. The Inca fort of Sacsayhuaman stands above the city as a continuous guardian, the monolithic stones pressed together by cut and weight rather than mortar. Along the streets of Cusco you hear the sounds of children playing while pan flute music emanates from restaurants. The scent of rich coffee and fresh brownies drifts out of BLAS Café Bar Lounge, where the cushioned seats that stand on the balcony overlook the bohemian square. Artists paint the San Blas church with vibrancy, giving the eggshell walls a sensational green as the mountains wrap around the city with homes climbing up the foothills. Cusco is a beautiful display of Spanish remnants and Andean perseverance. After a delicious breakfast filled with more than just sweet, juicy mango and succulent pineapple, you will venture into the Sacred Valley of the Incas. 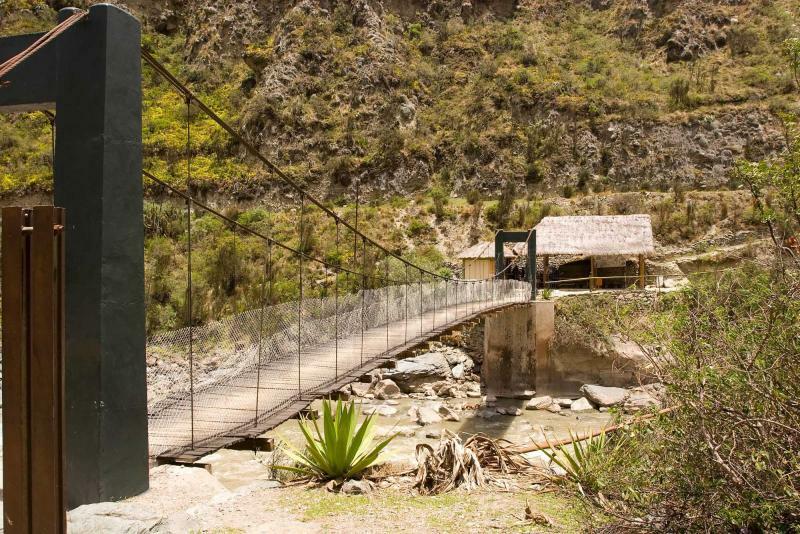 Arrive at Chillca where you will start to follow in the footsteps of history along the Inca Trail. 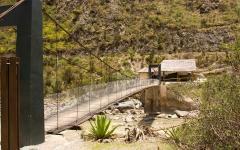 The Urubamba River rushes beside you; the mist spreads into the air and brushes your cheeks. The lush green of the valley shines in the bright blue sky. Over the rolling hills you can see the snow-capped peak of Mount Veronica as you walk the stretch of the trail through beautiful farmland to Llactapata. You look down into the valley and see the tiers rising against the foothills. Stone ruins sit atop the plateau in structured order. Wander through the ruins of Llactapata, your first touch of the trail, your first touch of cool stone within the valley, with the majesty of the Andes around you. The morning brings with it the smell and warmth of rich coffee as you wrap your fingers around the mug. The sun radiates over the mountaintops spreading light onto the valley and the ruins. 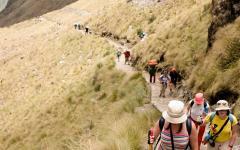 You set out for another day ready to climb along the Inca Trail. Step through thriving, dense jungle where moss carpets the floor and spreading leaves block the sun. The scent of fresh green sits beneath the canopy. Vibrant orchids blossom on branches that drift above the trail. Waterfalls meander through the hillside, rushing and splashing over the rocks. The trees fade beneath you. The verdant green changes to craggy mountainside in the high altitude, the cold evening begins to sweep over the range. The welcoming scent of pumpkin soup and creamy sauce of huacatay, a Peruvian mint, adds a simple cool spice to the decadent meal and the grand day. The open space of the mountain pass takes you high above the valley. 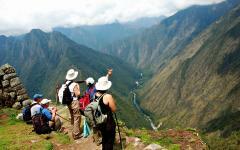 Stand atop Warmiwanusqa Pass, over 13,000 feet above sea level and the highest point of the Inca Trail. The rocks and high plain grass give the air an earthy aroma. The view to the valley below fades beneath clouds, where trees poke their crests through. Descend the opposite side of the pass and back into the dense jungle and blossoming orchids. Pacamayo River swirls through the valley. The ruins of Sayacmarca hang along the steep mountainside. A small lake twinkles in the late afternoon sun. The sweet cologne of hot chocolate glides through the air. You look back through the trees to try and see the steps you have taken, but the trail disappears with the jungle. The morning dew is cool on your skin as you touch your fingers to the jungle. The ruins of Phuyupatamarca shine in the early sun along the stretch of mountains in the distance. 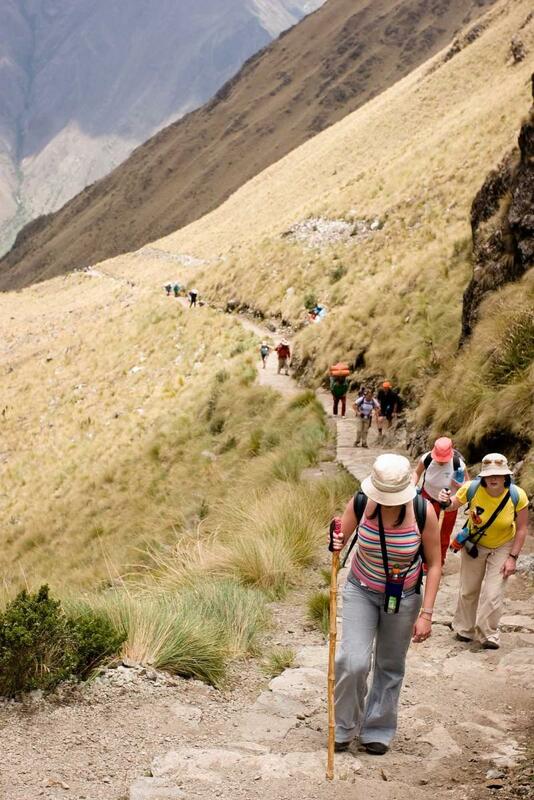 Come to the steps of a preserved flagstone path built by the Incas, the stones rounded and flattened with time. Enter the cloud forest, where the clouds rest in the trees like a lingering lullaby, the cool dew sparkling on the leaves. The path turns to stairs and the stairs become steep, climbing and nestled between a cliff and the mountainside. The slope stops and you come to a plateau where remnants of three stone pillars stand. You have reached the Gates of the Sun. Look beyond the pillars and notice how the stones frame the Lost City of the Machu Picchu in the background, sitting gracefully at the top of a citadel, the remaining structures climbing up the mountainsides and sitting beneath the towering peak of Huayna Picchu. Down the path and into the city, you stand amidst found history and deep myth; the stones glean in the afternoon sun as the Urubamba River careens through the valley far below. 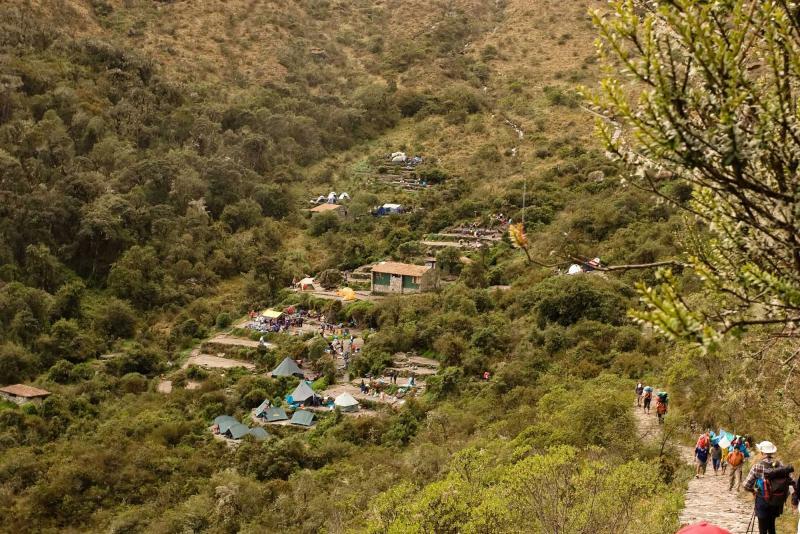 Venture up the stone path and into the Lost City, where the wonders of the Inca are preserved in the heights of the mountaintops. 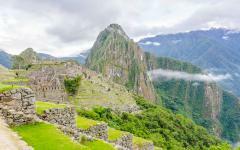 Come to the only round building in Machu Picchu, the Temple of the Sun. The curved, tapering tower is an example of sensational stonework as it spirals along the terrace. During the winter solstice the sun enters through the central window and falls on the large stone in the middle of the complex. Below the temple is an almost hidden natural rock cave carved carefully by stonemasons. The rock is smooth and cool to the touch, but no one is certain of the structure’s use. Witness the Inca Bridge; carved along the cliff side, the pink stone standing out in the sunlight while the bridge winds along a protruding trail. The afternoon fades into evening and you make your way down from the plateau already eager to return, never ready to leave the amazing Wonder of the World. In the fading silhouette of the Lost City you arrive back in the pearl city of Cusco. The mountains disappear beneath the clouds as you wave goodbye to Cusco and watch the massive trees of the Amazon Rainforest replace the hills. 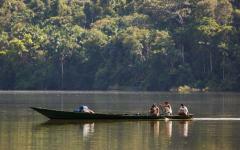 Arrive in Puerto Maldonado where the mighty Madre de Dios and Tambopata Rivers meet. The warm air drifts along the water as the city comes to light; known for its gold mining, Brazil nut collection, and ecotourism. 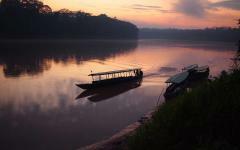 Cruise along the river on your way to Posada Amazonas Lodge and experience the magnificent natural beauty of the Amazon. Fish skim the surface of the river in search of insects. Horned screamers rake the water in search of fish. Local canoes paddle through the river, the men wearing rolled up jeans and straw hats to protect themselves from the sun. 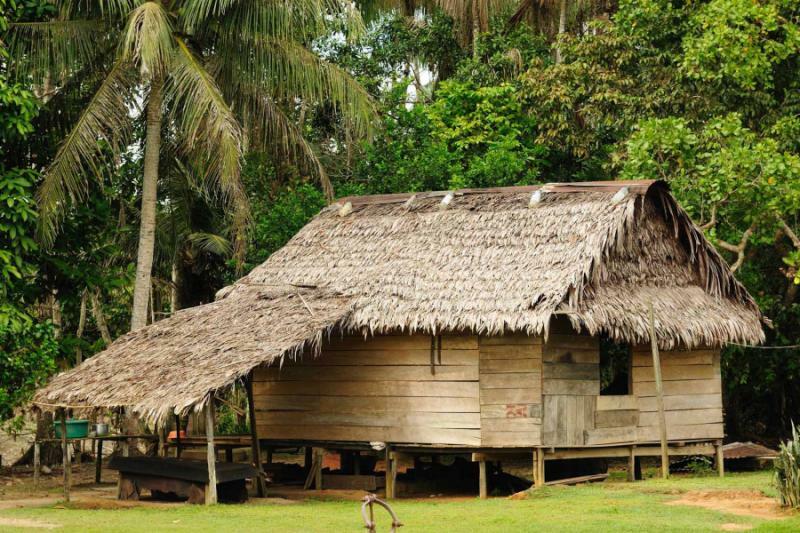 Arrive at the fabulous Refugio Amazonas, partly owned by the local Tambopata community. The serene rainforest surrounds you, while the rooms are plush and comfortable with spectacular views of your surroundings. Explore the site and find the scaffolding tower that sits above the forest canopy and the river. The bright green parrot feathers shine almost neon against the leaves of the jungle. You can see the wide wingspan of toucans, their beaks long and colorful, shining yellow and red in the blue sky. The natural wonders of the Amazon are nothing less than amazing and vibrant in every way. The sweet tang of tropical fruit fills the common area at breakfast. The cool juice lingers on your palate. Follow your guide through the forest growth in the early morning, before the sun has settled over the canopy, and into a patch of Brazil nut forest. Learn from your guide as they demonstrate how they harvest and dry the nut, helping the sustainable woodlands. The musk of the trees is potent and clean in the damp air. You can hear the trickle of river in the distance. 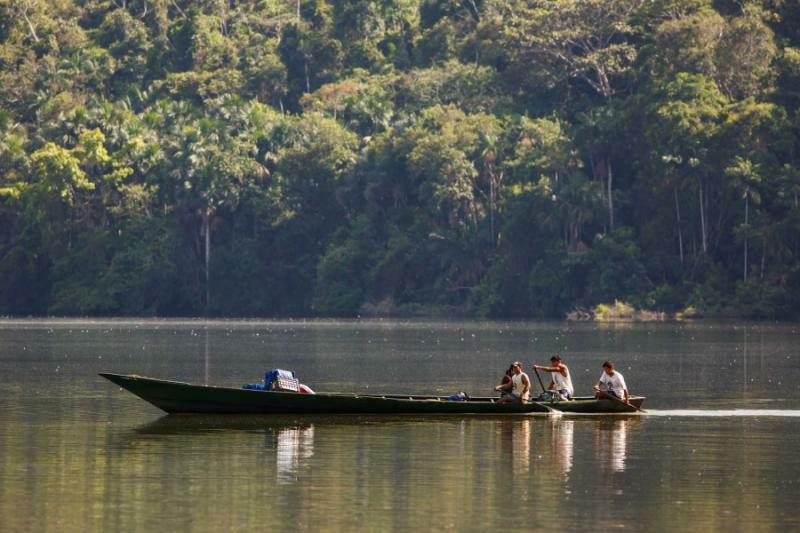 Make your way along the expansive river, the water warm on your skin, to the Tambopata Research Center, surrounded with fabulous trails to explore the deep and magical rainforest. Venture along the Overlook Trail, where the scent of blossoming flowers mixes with the fragrant tree bark. 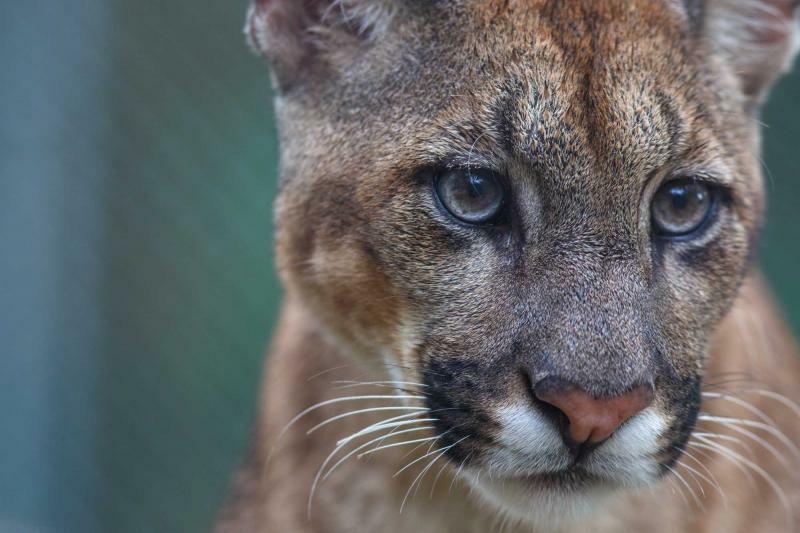 You can hear the hoarse grumble of a howler monkey, their mouths shaped into an “O,” their deep vocals echoing through the canopy as if a dinosaur roared in the distance. You can also see the orange fur of dusky titi monkeys rushing through the branches. Their small faces and lanky bodies almost glow in the spotted sunlight of the trees. The sun sets over the forest, the cool air glides in over the river. Your guide takes you for a walk along the water’s edge, shining his flashlight over the expanse, pointing out the red lights just above the surface of the river, and along the beach. He tells you they are caiman, crocodiles, refracting the light with their eyes. With the light shining from caiman eyes and the stars winking in night, you venture back to the research center and into the comforts of sleep. 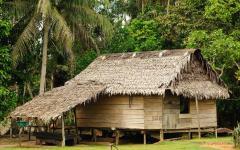 Dawn has yet to reach over the trees and you are awakened to the lively sounds of the rainforest. The scent of freshly brewed coffee drifts into your room. The cool morning air stretches through the trees. 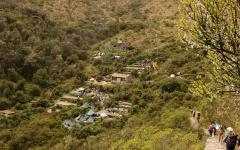 Venture to the famous Macaw Clay Lick, a clay cliff lingering beneath vines and trees where macaws stand perched amongst the leaves in groups. 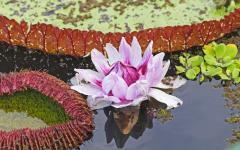 The air is aromatic with mineral-rich earth. At first, perhaps two or three macaws settle onto the clay and chew on the soil. A few more join. Suddenly a mass of red, blue, and green rushes through the air and lands along the clay, the macaws gaining the nutrients they lack from the rest of their diet; the vibrant sound of caws and flapping wings fill the air. 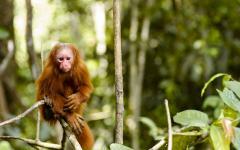 Visit the quintessential rainforest where immense trees are crisscrossed by creeks and ponds. Figs line the trees and drop to the forest floor, opening to a ripe, sweet scent. Capuchin monkeys rush through the trees, clamor for figs, and stare at you in confusion and accusation. Their serious face bordered by white fur while their bodies are draped in brown. 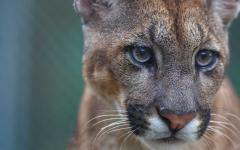 Chirps overtake the soft sounds of the forest and howls bring you face to face with the Amazon you always expected. 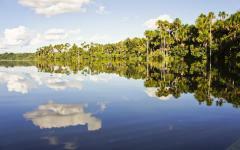 Today you will return from the Tambopata Research Center, venturing up-river to the Refugio Amazonas. 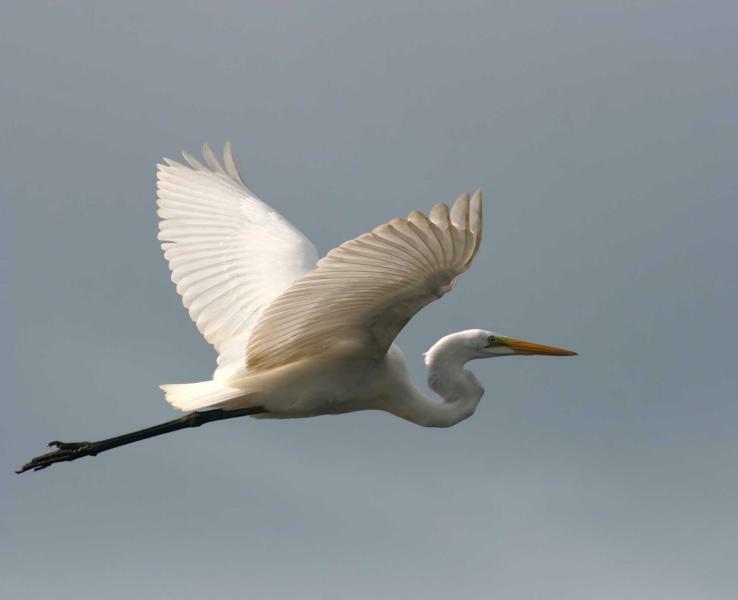 Scour the trees in search of the wondrous aviary that soar and perch, looking over the river and waiting to make their move. Arrive back at the resort and visit Condenado Lake. The bouquet of fresh water mixes with that of the trees. Paddle along the lake to view the vibrant wild around you. Hoatzin grunt and wheeze along the banks of the lake. They have a Mohawk haircut and a plump body giving them the look of a punk rock chicken. Macaws sing in the canopy, their colorful blue feathers glistening in the sunlight. Return to shore, stroll back to the lodge, and settle into the cool night beneath the canopy. 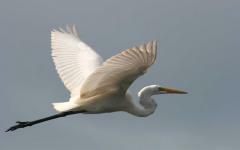 Today you will cruise down-river once again and return to Puerto Maldonado to board your flight home. Watch as the expanse of trees and stretch of thundering water dissipates beneath you. The wonders of Peru, from the Inca Trail to the Amazon have amazed you, decorated with history and natural beauty, where feats of the imagination were paralleled by magnificent landscapes and breathtaking foliage. You scaled mountains, watched the stars hover just out of reach, witnessed the colorful mass of macaws, and discovered just how amazing Peru can be.